Home News & Analysis Africa South African Banks: Down, But Are They Out? 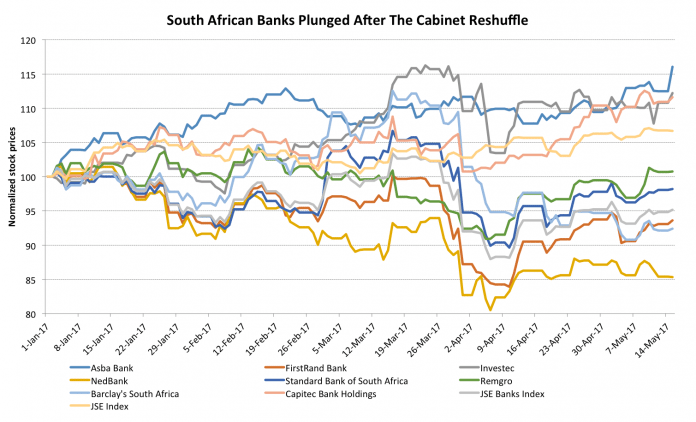 South African Banks: Down, But Are They Out? Can South Africa Recover From Junk Status? At its latest financial stability review, the Reserve Bank of South Africa argued that the country’s financial sector is fully capable of withstanding any adverse shocks. Shares of South Africa’s banking index has plunged 12% in the past one-month triggered by sovereign rating downgrades. 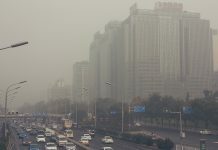 However, in a recent report, credit-rating agency Fitch mentioned that the big 5 South African banks need to improve their financial metrics to “mitigate an increasingly challenging operating environment.” Fitch also believes these banks have solid profitability but slowing credit growth and deteriorating asset quality could erode profitability. Further, shareholder returns need to be reduced in order to maintain regulatory capital ratios at acceptable levels. The agency has cut credit growth forecasts for 2017 to 3%. In 2015, credit growth in South Africa (EZA) stood at 9%. Aside from these issues, South Africa’s banking sector’s financial metrics are otherwise sound, indicating that they could truly withstand the storm. The five largest South African banks- Absa Bank, FirstRand Bank(FANDY), Investec Bank(ITCFY), Nedbank(NDBKY) and Standard Bank of South Africa(SGBLY) have an average capital adequacy ratio of 15.9%, well above the minimum regulatory 9.75% required by the central bank. Further, the liquidity coverage ratio for these banks was 110% in January 2017, much higher than the required minimum of 70%. Domestic banks also face a number of challenges including slow earnings and revenue growth, which may come to bear if South Africa’s GDP growth slows. A decrease in loan growth and continued pressure on banking fees would then likely follow. In spite of the current conditions, domestic banks are in a relatively strong position.